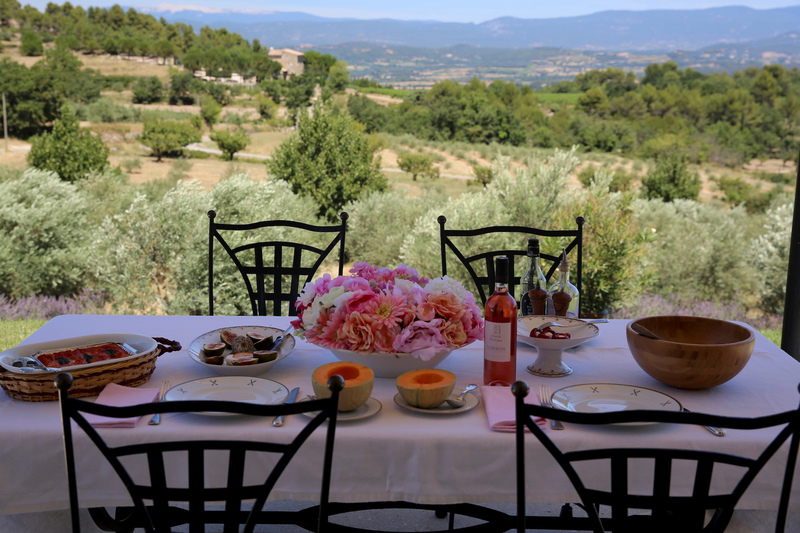 Staying at Inspirato’s Chateau Lavande in Provence was like a French fairytale. The scenery surrounding the chateau was absolutely breathtaking! Vineyards, olive trees, and castles…oh my! 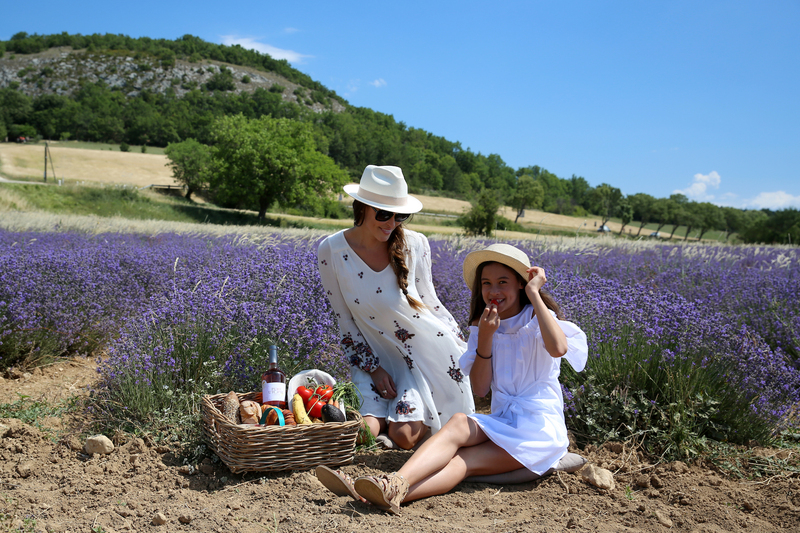 We spent our days exploring the charming nearby villages of Gordes, Roussillon, and Sault. Dreamy lavender and sunflower fields were all over, and we got to sample the locally made lavender ice cream, crepes, and croissants. What a dream! The vacation residence, Chateau Lavande, was an exquisite spot to enjoy the beautiful countryside of the south of France. Sometimes I simply want a home away from home, and that is exactly what I experienced at Chateau Lavande. 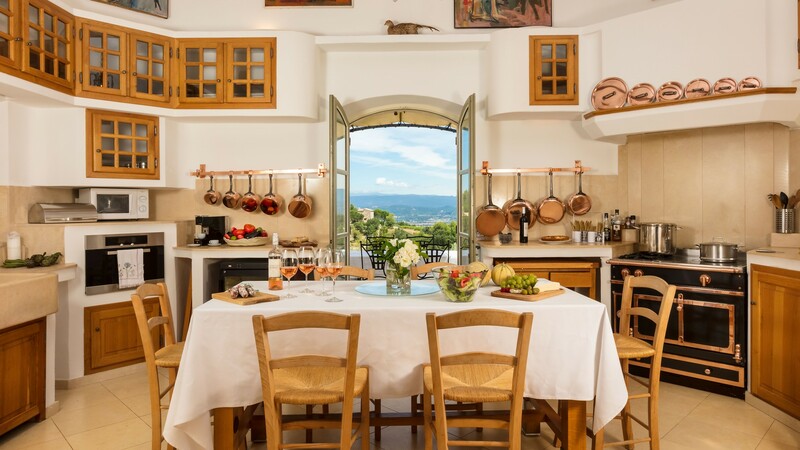 The home sits among expansive vineyards, olive trees, and lavender fields. The grounds are pristinely landscaped, and designed in such a fashion to encourage tranquility. Inside, the chateau was decorated in ornate antiques and works of art. High-end furnishings and linens adorned each room. The atmosphere is tastefully elegant. Additionally, there is a massive pool adjacent to the house. It was perfect for warm, summer afternoons. Furthermore, the staff at Chateau Lavande are phenomenal! A butler, chef and housekeeper were present to ensure my stay was completely relaxing. I didn’t need to lift a finger! Bene was my Destination Concierge, and she was lovely. She arranged for a hair stylist to tend to my tresses in the comfort and privacy of Chateau Lavande. Bene stayed throughout the appointment to translate between the French speaking hair stylist and myself. Now that’s what I call wonderful customer service! As for the cuisine, it was incredibly tasty! The Chef whipped up the most delicious recipes, and catered to my vegetarian diet. As your luxury travel guide, I’m fortunate to experience so many fabulous destinations. Yet, behind the scenes an enormous amount of research and preparation go into establishing itineraries and ensuring the logistics and minutiae are addressed. I admit, coordinating the details of your vacation can be tiresome and time-consuming, which is why I cannot get enough of Inspirato! Inspirato is a luxury vacation club that eliminates the stress of planning your getaway. They take care of all the details! The company offers an extensive collection of luxury experiences, residences, hotels and resorts all around the world. Each experience and residence is vetted by their experienced staff. You simply choose where you would like to stay and what you want to do. Voila, the details are handled! Membership with Inspirato gives you access to a variety of services. For example, you’ll be eligible for “members only” experiences, and you’ll have a Destination Concierge available to you on each trip. The Destination Concierge ensures your experience is flawless. They ease difficulties associated with language, transportation and local customs that may be confusing. You can book luxury vacation villas for as little as $250 per night! My favorite feature is Inspirato’s Jaunt. Jaunt offers members a selection of pre-selected trips at a significant discount. You can find beautiful vacation villas for as little as $250 per night. What is more, all of the trips highlighted on Jaunt are part of Inspirato’s luxury collection. The deep discount does not affect the quality or integrity of Inspirato’s service. Conveniently, Chateau Lavande is in close proximity to many quaint villages. Exploratory day trips will keep you occupied and enamored with the region. I specifically enjoyed Bonnieux and Lacoste. Both medieval villages, Bonnieux and Lacoste preserved much of the old world charm of the past. The villages are great spots to leisurely shop and stroll. While you’re in Bonnieux, you must sample the crepes. Then, indulge in the lavender ice cream. The region is famous for its lavender fields, and the ice cream will not disappoint! Life in Sault revolves around lavender, and summer is the perfect season to experience the beauty of the fragrant blooms. The village hosts numerous activities centered around the flower. It is also a great place to pick up cosmetics formulated with the essence of the plant. 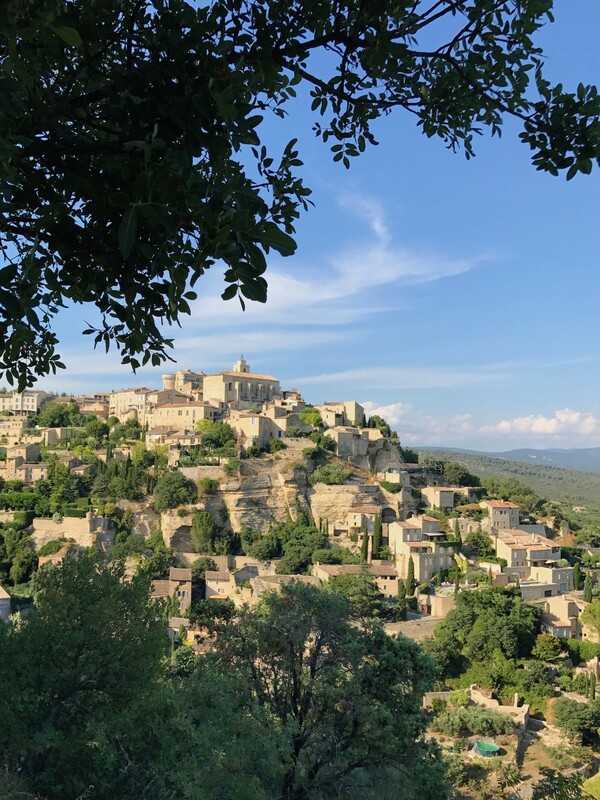 Gordes is an artist’s dream! Artists flock to the town in the summer, and the classic beauty of the village is undoubtedly the appeal. You will find great places to explore like the castle and the underground network of labyrinths and cellars once used by the town’s artisans. Roussillon is bathed in vibrant color! The village sits on one of the world’s largest supplies of ochre, which gives the village its rich color. 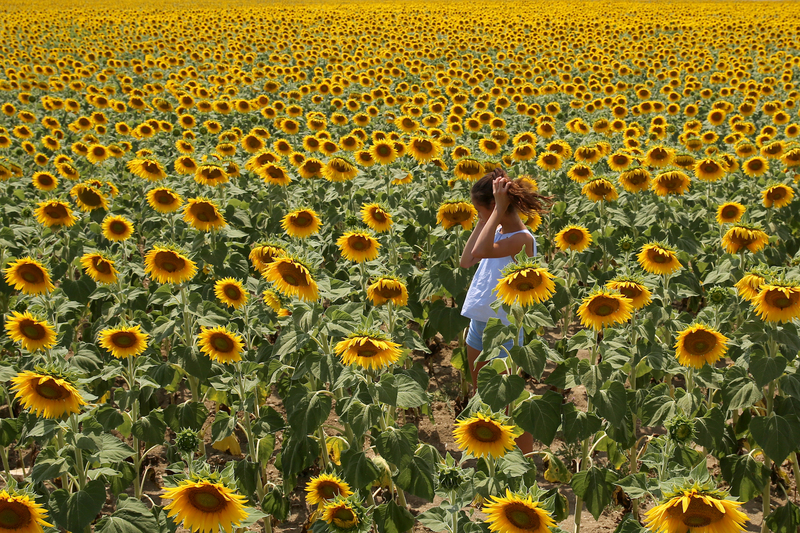 You will find numerous opportunities to capture amazing photos, so do not forget your camera. For a stress-free travel experience, consider a membership with Inspirato. To me, what makes Inspirato stand out as a superior way to travel, is that I always know what I’m going to get. There’s no guessing involved. I’ve booked villas with other companies in the past, and have been rather disappointed by either the condition of the villa, the amenities available, or by the unorganized nature of the booking team. With Inspirato, the residences are always stocked with everything I need, their service is always impeccable, and their properties are of the highest quality. Want to head to the beach next? Plan your next stop with my guide to the top beaches in the French Riviera. I was hosted as a guest of Inspirato, but the opinions expressed in this post are, as always, my own.